How is everyone on this sunny Monday morning? I fell asleep on Saturday and didn't wake up in time to send out the weekly sales email. It was a very dreary day and I just couldn't keep my eyes open. Mom asked me if I wanted to go outside, I took one look at the pouring rain from the doorway and said, "NOPE!" This week, May 21-26, we have 25% Off Blender Fabrics! It's a great time to stock on your blenders. All of our blenders as most of you know are have an aisle dedicated to our blender collections. So they're easy to find. We also have a few new products in. I'm only going to show you a few this week and I will leave the rest for next weeks newsletter. I have to have something to say in the next monthly newsletter. 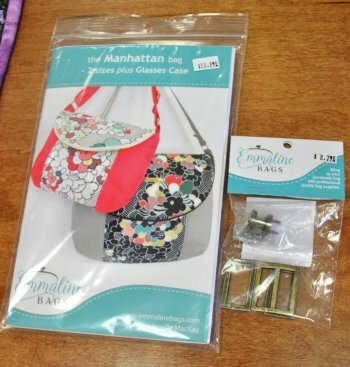 We just had 2 bag patterns arrive this past week. We have the hardware available for one of them. 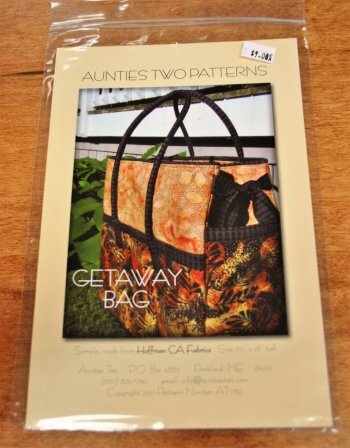 Grandma said some of you ladies are waiting for this bag pattern to come in. 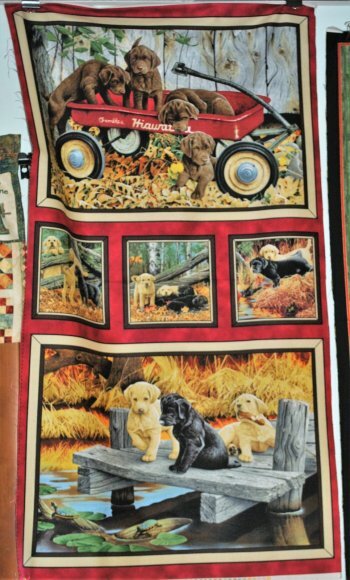 bone or dog treat fabrics. Just imagine the dog treats you could carry in this. hardware available to finish the bag. I was going to save this for the monthly newsletter. But since I'm part Black Lab and I gave you a teaser in the above description, I'm going to show it to you. 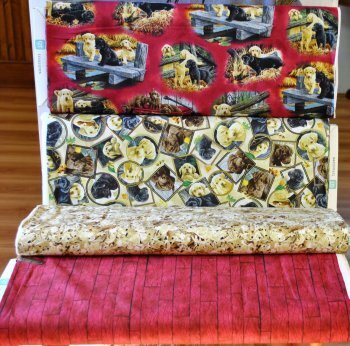 We have the panel and 4 coordinating fabrics. 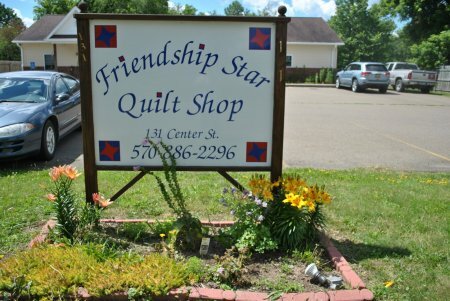 This collection is Quilting Treasures Labadorable Collection. What is more adorable than puppies, right? Quilting Treasures used the top fabric for the messengers bag flap and the 3rd fabric down (the leaves) as the body of the bag. What a great gift idea for a Lab Lover or someone who works with dogs. Well, that's all for today. Enjoy the sunshine while it's here. Don't forget to stop in to add some blenders to your project or stash.